Get it from its usual location. Get your copy now from the download page. Due to the nature of the bugs fixed it is definitely recommended downloading the new release. Find your copy on the usual place. Head on over to the download page for your copy! Alas, the 48-bit speech encoding was only used in certain built-in words of Magic Voice and A Bee C's cartridges for the C64. So there is some extra work necessary to actually check those one out on the plus/4. Alternatively, why not try creating custom speech with the open source SPTK toolkit. I am not saying it's straightforward, though, in fact that would be a firstie, too. And again... a nasty sound bug has made its ways to the initial 1.1.0 release 3 days ago. To top it all off the most important novelty, the OpenGL shader, was not even included in the ZIP package! Oh well... Please move ahead to the download page for a new package with the fixed executables as well as the external shader ('crt.glsl'). The new archive bears the same name as the former one, but the EXE-s have a new timestamp and show '1.1.0c' as version number. Besides to that, you shall find there the aforementioned shader which should reside right in the YAPE folder. If you don't like it and prefer the simpler, built-in OpenGL shader simply remove it from the EXE folder. My sincerest apologies for the inconvenience it may have caused, you see I am overall very happy to be able to squeeze some spare time for this silly hobby and my attention is extremely limited. Have fun! 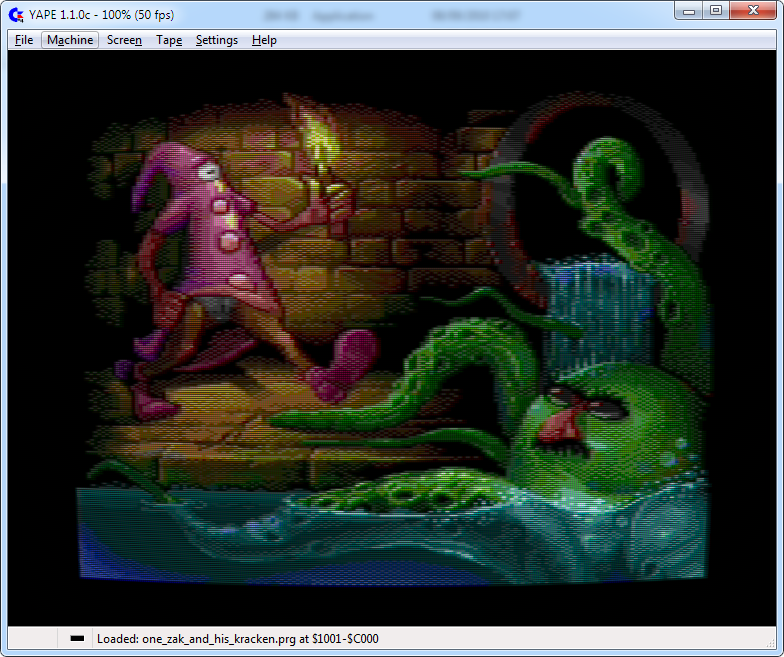 Check out the new OpenGL mode with CRT emulation turned on - recommended mainly with at least 3× magnification. In case the external fragment shader source file is removed from the executable folder, YAPE falls back to a built-in, simpler fragment shader. Support for external fragment (aka pixel) shaders is still somewhat experimental, but feel free to play around with the attached sample. And once again a glitch has been causing us problems. In the big haste I have first included a crash-prone x64 binary and later accidentally overwritten the working 32-bit version with the fixed 64 bit one. We ended up with a crash-y and a working 64-bit executable in the zip package. I am now back from holidays and fixed the binaries, so go ahead and download the 1.0.10 package once again. My apologies for the inconvenience. As usual the binary is up for grabs at the download page. An ugly crashed made its way to the latest release that went unnoticed. The binaries have been replaced so please regrab your copy now to solve the issue. Thanks to Luca for the heads-up. Get the usual treat from the download section. Head on over to the download area for the binary. The SDL port of yape was released yesterday. The SDL port now sports Commodore 64 emulation along with a line based +4 engine which was ported over from the Windows version. Also, yape/SDL was moved to Codeplex the open source project hosting site and from now on announcements about the SDL port will be made there. Yet another release for the SDL version: 0.58.1 is out with binaries for both Debian/Ubuntu and Windows. The version number indicates the approximate compatibility equivalent of the Windows port. It marks the backport of real 1541 drive emulation as well. By now the SDL port is perfectly usable for almost all games and could be your best choice at this stage for long retrogaming sessions with a gamepad controller in front of a big screen. Added an experimental Debian/Ubuntu 4-bit binary DEB package to the downloads since as far as I know a DEB package has not been available so far anywhere. I am not a Linux expert so use it at your own risk. The Fedora RPM packages on the other hand have a solid maintainer, so expect 0.36.2 to be released at RPMFusion within a few days. Find it on the download page as usual. The 64-bit binary is included in the same archive and the 32-bit one is compiled with Mingw so it should work on any Windoze OS's. Also, just released the new source package of the SDL2 port of YAPE a few days ago. Version 0.36.2 has some improvements over 0.36.1 which itself was released silently a few weeks ago. This version is multiplatform and compiles under at least Ubuntu Linux and Windows but maybe further unices, the Raspberry Pi and after some tweaking Android as well. Did you know that the small border option now works in all screen modes, even full screen, to give you maximum window area. Yuo can tweak a couple of video options in the advanced settings menu. For now, head on over to this page for the download. The 64-bit binary is included in the same archive. New YAPE out at last! Check the download page for the ZIP package! Note, that there is no separate package for the x64 binary, it is actually included in the same archive. Visit my download page for the usual treat! Head on over to the download section for the EXE of your taste (Win9x/XP and above/Win x64). Enjoy! Check out the download page for the new release for your particular Windows platform. The lightpen is emulated conveniently through the mouse and its left button. For software to try your hands on the lightpen head on over to the Plus4world website and pick this proggie: Lightpen-drawing_V3_0. Erm... Happy New Year! (perhaps, it's too late now but anyway). I have corrected the download link for the 64-bit version as it still pointed to the previous one (instead of 1.0). So, if you have downloaded the wrong one, you can now have the right one. Thanks to Luca for letting me know! Have fun. Of course 1.0 not to mean Yape is ready and will be abandoned. A piece of software never really is. Head on over to the downloads section while it's still warm. This release brings two major changes. First, is the support for memory watchpoints (read, write, execute). Yep, at long last, another long outstanding feature (first requested around 2003 I guess. Oh well.). The other is a somewhat more intelligent autodetection of full screen resolution that also better respects the aspect ratio of newer TFT monitors. The download is on this page page. Another new year, another new Yape... however, I just realized that this time the emulator is turning 10 years old in September! Wohow... how time flies... I would have never imagined in the humble beginnings that it is turning to become what it is today, though if I did, I would have made sure it was progressing more rapidly :-) I hope I can squeeze out an anniversary edition and make it special in one way or another, though as I have a real busy real life, it may not even happen, so who knows for sure. This version adds software (i.e. non-overlay based) TV/display emulation, which is now the default one when using GDI for screen rendering. It will of course be slower than the HW one - though it is optimized quite a bit - but will look the same on all video cards, no matter what some stupid graphic card drivers are doing. For the rest, it is primarily a bugfix release: a potential crash has been fixed in the monitor (kudos to Csabo for spotting and reporting it), and some awkward bugs in the video recording as well as in the TED has been fixed. Get your copy here. Grab the appropriate build from here. All this on the download page as always. Head on over to thedownload page and have fun with it. Additionally, I have built a native 64-bit Windows version this time as well, you can grab that if you have an x64 based Windows system. Eagle-eyed folks may have noticed that I have released an open source version recently, too. While the version number may only suggest a minor revision (0.32.5), it is actually closer to a 0.60-ish Windows build emulation-wise (except it lacks a couple of its features, yet). Check them out on my download page. The second new release this year brings you a couple of improvements over the previous version. 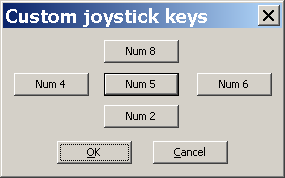 Gamers will appreciate the long outstanding joystick setup dialog features, while SID-card addicts may like the increased accuracy of the engine. Head on over to this page for your copy as usual. Obviously, true interlace will only work properly on the 'Very high accuracy' emulation level and in double sized window modes. Get the new Yape from here. Get this new release from here. The printer emulation includes the standard MPS801 character ROM as well, but you can specify your own (it should be at offset 0x800 in the image though, and should follow the rules of the MPS801 set). The printer emulation is complete with all special control characters, bitmap, reverse, enhance modes etc. 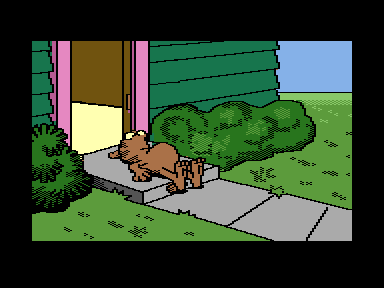 The D64 error info emulation enhancements make it possible to use some of the copy protected disks to run under the fast IEC disk emulation mode (Typing Professor, Hulk). Get the new release here. In case one is using normal accuracy mode, the drive timing hack may still be applicable, since the new subcycle accurate code is only available in the highest accuracy level (Machine -> Configuration -> Compatibility). The SID ADSR delay bug has been another long standing unresolved issue and I was amazed myself how much it actually mattered. The SID emulation has become massively better as a result of implementing it. Anyway, get this new build from here. Get the new release here. Grab the new release from here. Happy Easter with version 0.73! Get this new release here. The new emulation level implements support for the emulation of the video shift register and also better support for demos that mess with the horizontal counter (about 3 of them exist at the moment). Since about 99.9% of the available programs don't require these to be emulated, it has never been a priority, as they do have a rather high performance hit (about 20 percent but your mileage may vary). The new mode is still experimental and therefore it may not work perfectly in all cases, so please report if you encounter problems. Most users won't have true benefits from this new mode, as it is mostly meant for demo coders or as means for watching the few available demos that require these to be emulated. Get the new Yape 0.72 from here.